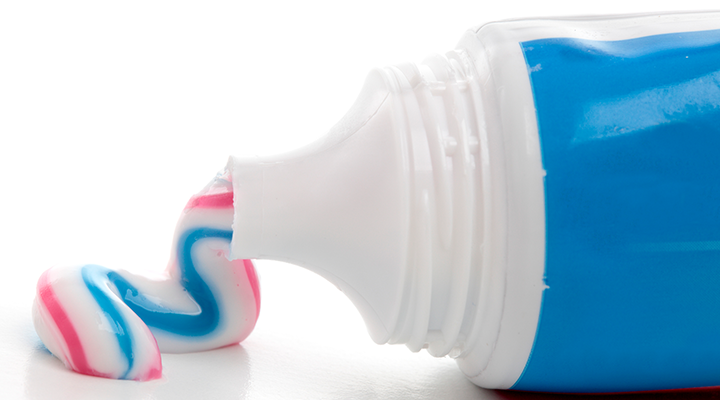 The short answer to this home remedy is no, toothpaste cannot help heal minor burns. Whether it happened in the kitchen or the bathroom, burns are never any fun, and many people believe there are certain home remedies that will help take away the pain. Things like honey, egg whites, toothpastes, and even ice have shown no scientific evidence of helping in the event of a burn. In fact, they probably only seem to help because it involves putting something on top of the already injured skin. Forget toothpaste and find running water. ° Utilize cool water in order to alleviate the heat that has been stored in the wound. ° Use a wet towel as a compress so you don’t waste any water. ° Make sure not to use cold water as it can cause further damage. Check to see if the burn has opened up. ° If the skin is broken, an antibacterial ointment will protect the wound from infection. • DON’T POP ANY BLISTERS! ° If the skin is intact, consider using aloe vera the way you would for a sunburn. Cover the burned area with clean clothes or even a bandage to prevent infection and consider taking a pain reliever such as ibuprofen or acetaminophen. Always see a doctor if the burn is major or you have worsening symptoms like developing a fever. For ideas on what toothpaste can be used for, click here!